Don't knock on Tim Gunn! 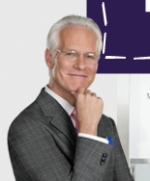 I'm not sure Myspace is the way to go with this promotion, but Tim Gunn is definitely the best part of addictive, popular shows like Project Runway. He seems very intelligent but conscientious, more like a beloved professor than a snarky, judge-y diva. I'm not really a fan of the makeover show format, but I'm hoping his character can redeem it!